Long sleeves with straight hem. Invisible, front zip closure with snaps. Triple strip trim along collar and opening. 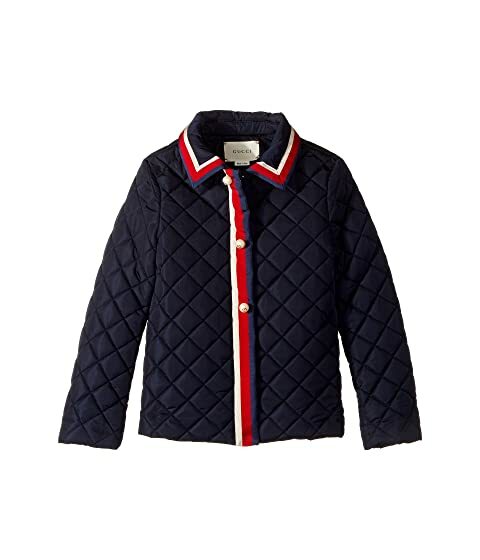 We can't currently find any similar items for the Outerwear 477721XBB86 (Little Kids/Big Kids) by Gucci Kids. Sorry!